Cattle and sheep producer James Jackson has been elected NSW Farmers president at the association’s annual conference underway in Sydney today. 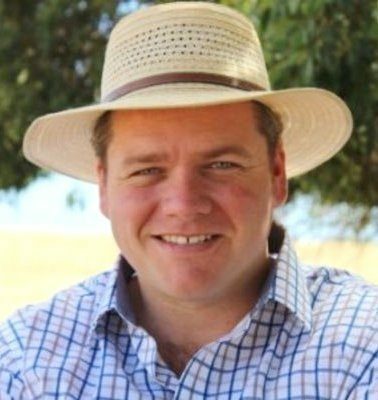 Mr Jackson, who is based in Guyra in the Northern Tablelands, has signalled reducing regulation in the agricultural industry, protecting farmers’ property rights and membership engagement will be key aspirations under his presidency. Mr Jackson, a former veterinarian, has been an active member of NSW Farmers for the past 20 years. He currently serves on the Animal Welfare and Sheepmeat Committees and has been a Board member for the past three years. He succeeds outgoing president Derek Schoen who did not recontest the election on constitutional grounds. Pork industry administrator Andrew Spencer has become board chairman at the Australian Farm Institute, having been a board member for the past six years. Mr Spencer is the CEO of Australian Pork Ltd, the research and development service provider for the Australian pork industry. He succeeds David Anthony, who spent six years as chairman. AFI has also elected a new boardmember – the managing director and CEO of Rural Bank, Alexandra Gartnam – and has appointed Richard Heath is its new executive director. Mr Heath’s appointment follows the departure of founding executive director Mick Keogh, who took up roles as deputy commissioner and agriculture commissioner at the Australian Competition and Consumer Commission recently. The AFI conducts research into policy issues that affect the Australian farm sector, and promotes policy solutions to maximise the economic and social wellbeing of farmers. 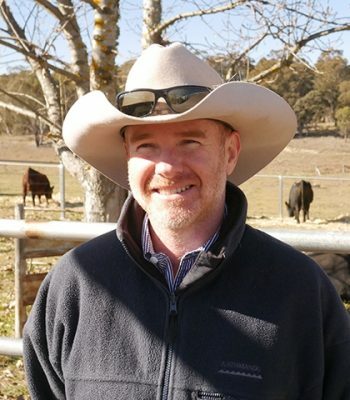 Australian Live Exporters Council industry secretary Tom Dawkins has accepted a new position as director of industry affairs with Cattle Council of Australia. He takes up his new post in August. The Australian Livestock Exporters’ Council is a member-based, peak industry body representing the livestock export sector, responsible for setting industry policy, providing strategic direction and representing Australia’s livestock export trade both nationally and across the world. Mr Dawkins has served in the ALEC role for the past three years, having earlier worked as a journalist and editor in agricultural print media and running his own communications consultancy. Teys Australia senior executive Tom Maguire has a new working title, which better reflects the company’s growing supply chain and value-based marketing emphasis. 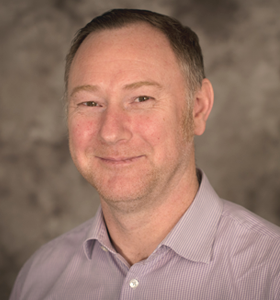 As chief value chain officer, Mr Maguire will steer Teys’ progress in building supply chain capability across the business, and with cattle supplier and meat customer stakeholders. He will retain his existing responsibilities for corporate affairs, HR and information technology. Mr Maguire will address the Queensland Rural Press Club Brisbane Show breakfast on Thursday 9. Four-hundred odd tickets are already sold out. The Australian Meat Processor Corporation has made a series of key staff appointments recently as part of an expanding portfolio of industry affairs and issues faced by the sector. AMPC is the Rural Research and Development Corporation that supports the red meat processing industry, with a mandate to provide research, development and extension services that improve the sustainability and efficiency of the sector. Joining the organisation as its first agricultural economist is George Revell. This new role is part of AMPC’s effort to better service the needs of its members and the wider red meat processing sector by undertaking economic analysis at the project, micro and macro levels. This approach will support an objective decision-making process with greater transparency for AMPC’s investments and industry outcomes. “Economics-driven innovation is the heart of what our members expect from us as their industry RDC, so George is a wonderful recruit to help tackle the economic headwinds the red meat processing sector currently faces,” said AMPC CEO, Peter Rizzo. Mr Revell will help AMPC to formulate fact-driven research to aid and inform policy efforts that will ultimately result in real benefits for their membership and the sector, Mr Rizzo said. 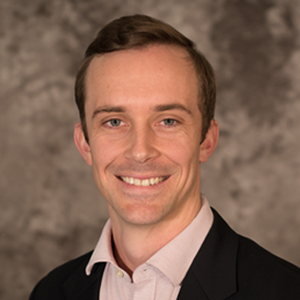 A former intelligence officer and senior analyst in the Australian Army, Mr Revell later took his expertise in embedding analysis within the broader policy and macro environment to agriculture, joining Hort Innovation as an economic analyst. He has strong agricultural roots, having grown up on a mixed farming enterprise near Wee Waa, NSW working in all aspects of his family’s cotton, cattle and cropping business. Also joining AMPC in a newly-created role as hygiene, quality & meat science program manager is Matt O’Bryan. 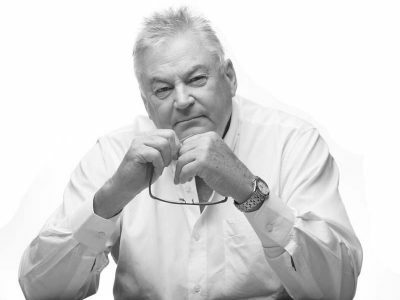 Mr O’Bryan previously worked with major food industry entities Campbell Arnott’s and Simplot Australia, before joining Hardwicks Meatworks as quality assurance manager, where he helped to achieve export status and improve quality focus. His appointment reinforces AMPC’s commitment to focus on R&D projects that are specifically aligned with the corporation’s membership’s priorities around processing hygiene, food safety and quality, and meat science and technology. In his new role, Mr O’Bryan will draw on his depth of experience in program and stakeholder management to build strong relationships with top research providers and deliver against the key industry issues outlined by AMPC’s membership. He will also be primarily responsible for the relationship management approach with AMPC’s service providers. His passion for the agriculture industry comes from a childhood growing up around shearers and food scientists, and he brings that same passion to AMPC, helping to match the ideal research provider with research projects that fundamentally align with the priorities of AMPC membership and the wider red meat processing sector. 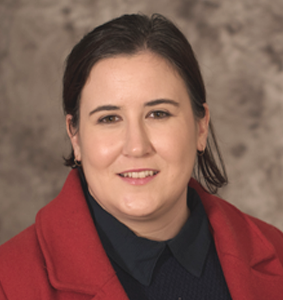 AMPC has also appointed Elise Mizzi, who will be stepping into the role of program manager of research projects directed at industry improvement and economic analysis. She comes to the position with strong credentials in project management, stakeholder engagement and strategic communications, which will be of great assistance in unlocking market access for processors by resolving non-tariff measures and easing regulatory burdens. Non-tariff and technical barriers to trade cost the Australian red meat industry an estimated $3.4 billion a year in lost revenue and opportunity, AMPC CEO Peter Rizzo said. She joins AMPC with a personal background in agriculture, having grown up on a mixed broadacre property in Northampton, WA. 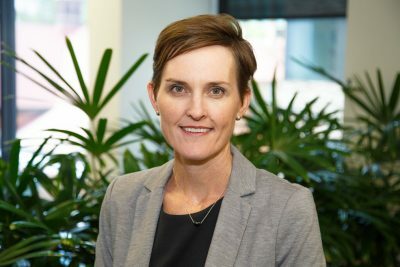 In the recent past she worked for both the WA Farmers Federation and NSW Farmers Association, during which she provided communications expertise to increase membership engagement and promote the work of WA and NSW farmers, and gained direct insight into a broad cross-section of agricultural policy issues. Former Gundagai Meat Processors human resources manager, Amanda Carter, takes on a new role as AMPC’s new program manager for capability, extension & education research projects. Her appointment reflects AMPC’s commitment to identifying and developing research projects that reflect industry challenges in the areas of labour retention, employee training and development, and workforce participation. In her new role, Ms Carter was ideally suited to identify and foster research projects that will do more to attract, recruit, support and develop personnel to meet current and future industry needs, CEO Peter Rizzo said. 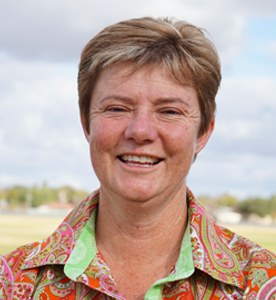 She comes to AMPC as a veteran of the red meat processing sector, with 20 years of industry experience working with beef and sheep/lamb processing plants in both the export and domestic arena. She holds degrees in applied science in agriculture and education, and is also studying for a Masters in Human Resource Management. Months of preparation and hard work saw three student teams from the University of New England celebrating great results at the recent International Food and Agribusiness Management Association Student Case Study Competition in Buenos Aires, Argentina, held last month. A team of four UNE students took out the intermediate (postgraduate) division of the IFAMA Student Case Study Competition in which students compete against university teams from around the world. Notably, UNE had only one postgraduate student in the team. Mikayla Bruce, Lucy Collingridge, Chrissy Stannard and Emma McCrabb defeated a South African team in the competition final. Two other UNE teams finished second and third in the undergraduate division of the competition. The results follow UNE’s success in 2017 in finishing first and third in the undergraduate division of the global competition. One of the team-members, Lucy Collingridge, currently completing her Graduate Certificate in Agriculture with UNE, is studying online, while working in Narrabri for North West Local Land Services as a Biosecurity Officer. She was Skyping into weekly practice sessions with her team in the lead-up to the competition. “The IFAMA Case Study Competition provides a unique opportunity to put students’ skills to the test in a high-pressure situation,” she said. “Working as a team was vital to our success – the preparation we put in meant that we knew our individual strengths and how they worked together in our team, and how to apply these skills to deliver the best end result possible. In the real world this would be to a client, but in our case it was to a judging panel,” Ms Collingridge said. In addition to participating in the IFAMA conference, 29 UNE students spent two weeks travelling Argentina and Uruguay as part of an agribusiness and agriculture study tour. The students visited a variety of farms, industry bodies, service providers and businesses. The Queensland Police Service’s Major and Organised Crime Squad rural division (formerly known as the Stock Squad) has paid tribute to Queensland grazier Ian Harsant, who recently passed away. 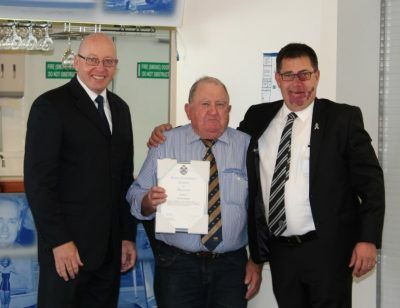 The stock squad last year recognised Ian Harsant for his significant contribution and support by awarding him a certificate of appreciation, presented by assistant Police commissioner Maurice Carless and the squad’s detective inspector Mick Dowie. The Harrisville beef producer was a member and former president of the Cattle Board of Agforce, and served as Agforce’s liaison with the Squad for 15 years up to his retirement in 2017. “Ian was our greatest supporter over that time, and was instrumental in legislative change around stock-related offences in Queensland,” the squad’s detective inspector Mick Dowie said. “His work with the consultative committee over eight years resulted in the increasing of penalties for stock stealing and associated crimes that better reflect the significant impact of such crimes on our producers; increased police powers to enable us to more effectively investigate stock related crime and the ability for producers to apply for a Forced Muster Order to recover stray stock from neighbours reluctant to return stock,” he said. “Today we pay tribute to a great man who supported our squad over so many years,” Detective Inspector Dowie said. At last year’s annual conference, the squad and QPS recognised Mr Harsant for his significant contribution and support by awarding him a certificate of appreciation presented by assistant commissioner Maurice Carless. “Ian was one of those salt-of-the-earth people found in small communities. They are devoted to their family, their community and their industry. Ian’s contribution spread far further than his local community,” Detective Dowie said. The 2018 Howard W Yelland Award for outstanding service to the Australian beef industry was awarded recently to Dr David McKinna from Melbourne. The recognition was made at the NAB Marcus Oldham Rural Leadership Program dinner held recently. The Howard W Yelland award was first presented in 1987 and is presented each year, with a total of 35 recipients to date. It is presented by the Australian Beef Industry Foundation in conjunction with Marcus Oldham College and honours those who have given outstanding service to the industry. ABIF chairman, John Gunthorpe said Dr McKinna was an exceptional recipient, in recognition of his leadership and initiative in devising and implementing Australia’s first livestock reporting service, developing and implementing domestic and export marketing and research in the red meat sector, and for his international work on driving export strategies for beef including marketing of brand Australia. He was a strong contributor to the foundation of the Meat Standards Australia program. “David and his team at McKinna & Associates are some of the quiet achievers in our industry,” Mr Gunthorpe said. “Their diligent and long-term efforts shaped the successful drive by AMLC and then MLA for increased consumer acceptance of beef products here and overseas, and thereby improved economic returns for our producers. The most noted example is development of MSA and its placement of power in the hands of consumers to select product for their end-use needs,” he said. Australian ruminant feed specialist Professor Ian J Lean has won the prestigious AFIA-ADSA Nutrition Research Award, from the American Feed Industry Association. The award recognised Prof Lean’s international work in improving animal health standards and profitability in livestock production. Prof Lean is managing director of Scibus, a Camden (NSW) based consultancy that conducts research and consults to beef and dairy producers in Australia and offshore. He has published extensively on the interactions of nutrition with production, reproduction and health and has been a keynote speaker at numerous international conferences presenting on these topics and meta-analysis and study design. In its award citation, the American Feed Industry Association said Prof Lean’s work on the causes of sub-par performance of cattle spanned veterinary medicine, reproductive physiology and nutrition. The award recognises leaders who have provided significant contributions in animal science and nutrition. 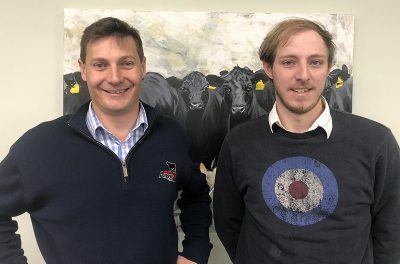 Angus Australia has appointed two new staff working in breed development roles. Jonathan Faris recently started as Angus Northern Development Officer, based from later this year in Emerald, Central Qld. Originally from the Narrabri district of Northwest NSW, Mr Faris grew up on a stud and commercial Droughtmaster enterprise producing bulls for the northern markets at Gracemere and Roma and northern NSW, as well as crossbred steers for the heavy domestic market. He holds an Associate Diploma in Beef Cattle production from Emerald Agricultural College, Diploma in International Business and Masters of Business Administration. Mr Faris spent 15 years in agribusiness banking roles in southern and central Queensland, predominantly working with beef cattle producers. Most recently, Jonathan worked at Australian Limousin Breeders Society in a breed development and business capacity. His work will focus on helping identify and develop opportunities for Angus and Angus-infused cattle for the benefit of the wider beef supply chain in Northern Australia. Also recently appointed by Angus Australia is Matt Reynolds, who takes on the role of breed development officer. Matt brings a passion for cattle breeding and a diverse background in agriculture to the role. Working closely with seedstock and commercial Angus breeders will be his main focus, as he supports the application of genetic improvement technologies and the suite of products Angus Australia has on offer to its members. Mr Reynolds joins Angus Australia from the sugarcane industry in Mackay, where he was involved in development and release of sugarcane varieties and the commencement of work to eradicate a major plant disease in the sugar industry. The opportunity to return to the cattle industry is one he is relishing, after previous experience with the dairy industry with the then Victorian Department of Primary Industries. During his time with the dairy industry, Mr Reynolds supported dairy farmers with the use of genomic technologies and was involved in the start-up of the GINFO project. OBE Organic beef supply chain managing director Dalene Wray was recently announced as the winner of this year’s Chief Executive Women (CEW) Austrade Women in Export scholarship. The announcement, made by Trade minister Steven Ciobo, will see Ms Wray attend Harvard Business School’s “Disruptive Innovation – Strategies for a Successful Enterprise” course in Boston, Massachusetts. Through her guidance, OBE Organic and has pioneered sustainability and disease management programs aimed at boosting farmer productivity, improving animal health and welfare and reducing supply chain waste. The Scholarship, offered in partnership between Austrade and CEW, supports women leaders at critical junctures in their careers. New members of the Agricultural Industry Advisory Council announced recently include several well-known beef industry and agribusiness stakeholders. Agriculture minister David Littleproud recently announced the new council membership, including 11 new members. The AIAC provides the minister with information, advice and recommendations from a cross-section of industries and stakeholders on contemporary issues affecting Australia’s agricultural, fishing, forestry and water sectors. Livestock industry representatives include Consolidated Pastoral Co chief executive officer and director, Troy Setter; Merino breeder and 2018 WoolPoll panel member Kristen Frost; and Janefield Dairy (Tas) owner and manager Michele Lawrence. Agribusiness members include Commonwealth Bank Regional & Agribusiness Executive General Manager Grant Cairns; and Delta Agribusiness Group human resources manager and president of the Riverina Ag Network, Rebecca Milliken. Minister Littleproud said the new members’ first-hand experience and expertise would help to guide informed decision-making by the government. “We’re hoping that together we can challenge conventional thinking on some of the biggest issues facing agriculture and future productivity gains. I want to work through important strategic issues like innovation and research, the agricultural workforce, attracting investment and social licence and sustainability,” he said. 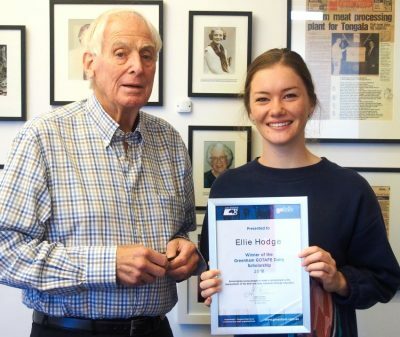 Twenty-year-old Ellie Hodge, from Leitchville, VIC, is this year’s winner of HW Greenham & Sons GOTAFE study Scholarship, valued at $12,000. 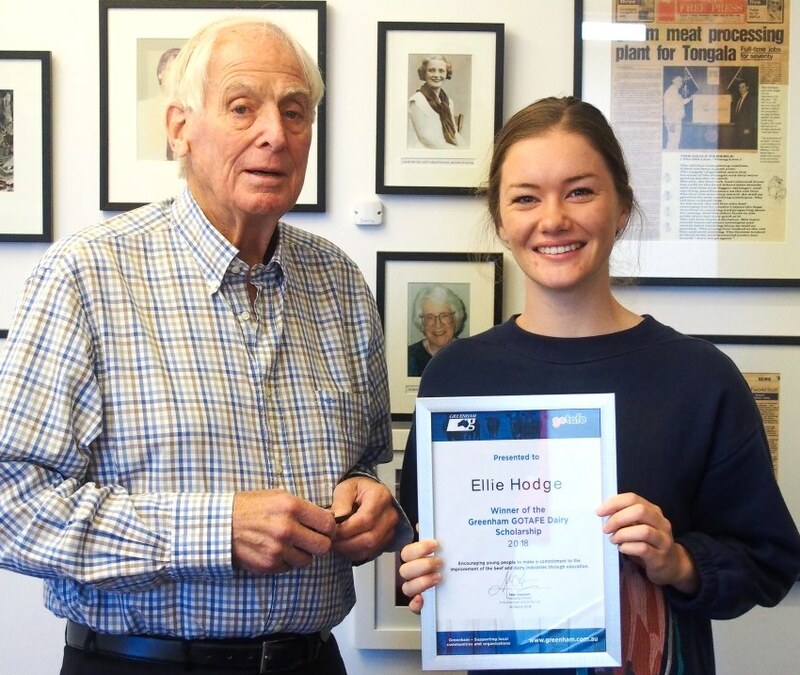 Keen to keep the momentum up after completing her Science degree, Ellie is in her first year of Doctorate in Veterinary Medicine at the University of Melbourne after being granted accelerated entry into the course. Ellie is one of three daughters to dairy farmers Cameron and Ann Hodge who milk 400 Holsteins on their Northern Victorian property. The shared experience of lending a hand in the dairy or hand feeding calves had a deep impact on her outlook. Ellie now looks up to senior Vets and the love they have for their careers. She understands how rewarding it is to treat multiple species of animals and see positive results, particularly in production animals. Of particular focus, Ellie is keen to investigate antibiotic use and the issues surrounding ongoing use and antibiotic resistance. With the cost of both an undergraduate course and doctor of veterinary science exceeding six figures, the scholarship funding takes away some of the financial stress.